Color pickers are really interesting and fun. In HTML, you can create more than 16 million different colors. 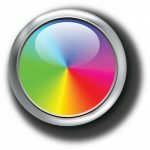 This article will discuss how you can make your own simple color picker in HTML5, and give you code to do so. Actually, the code to make your own color picker is very simple. You basically just need an input element with type color. The following is some HTML code that you can use. You can also download the above code from our GitHub account here. What did you think of this article? Do you have any questions? Let’s discuss it in the comments below.